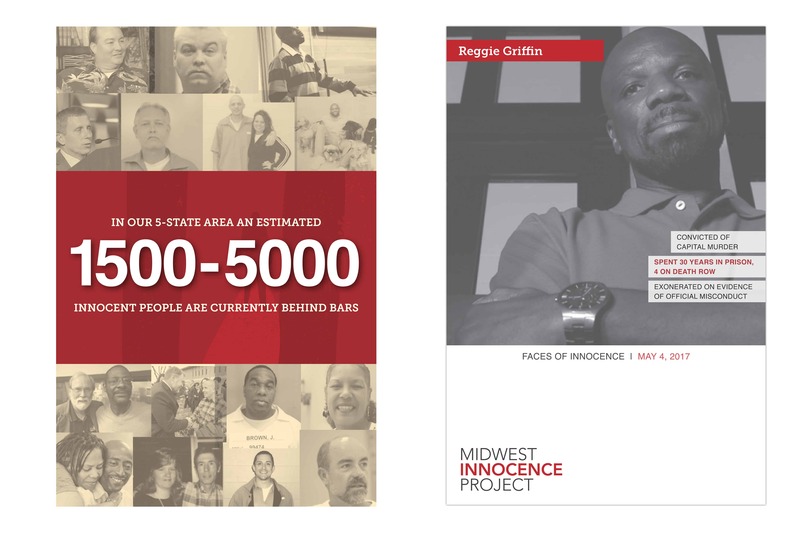 The Midwest Innocence Project (MIP) is a not-for-profit corporation dedicated to the investigation, litigation, and exoneration of wrongfully convicted men and women in our five-state region. Recent studies conservatively estimate that between 2% and 5% of all inmates in America are innocent of the crimes for which they were convicted, with some estimates reaching up to 7%. 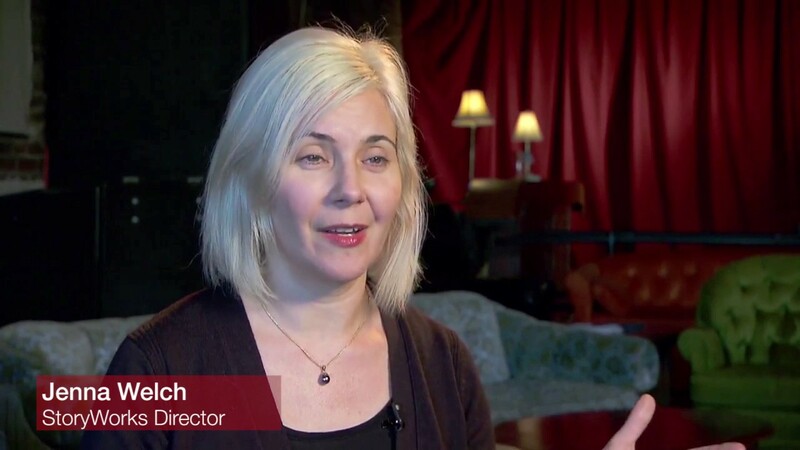 This means that somewhere between 2,000 and 7,000 moms, dads, sons, and daughters in Missouri, Kansas, Iowa, Nebraska, and Arkansas are locked behind bars this very moment for crimes they did not commit. 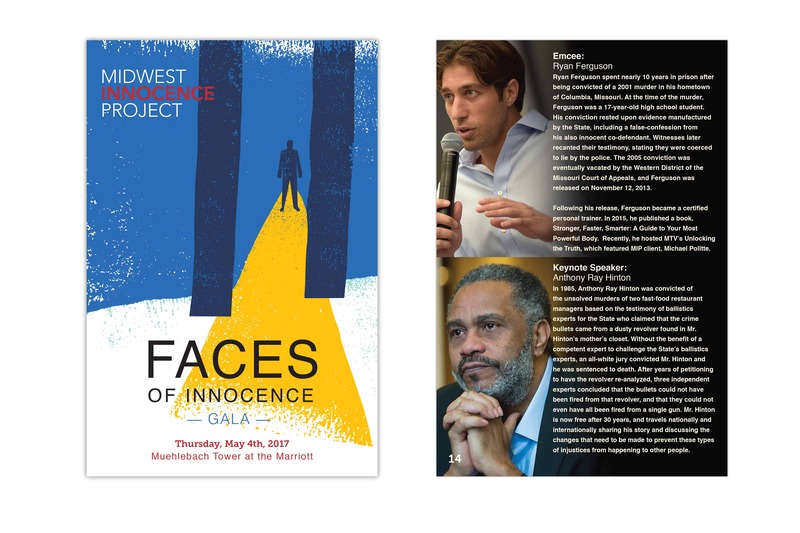 We were honored to work with MIP on design and promotion of their annual Faces of Innocence event.